The Supreme Court is likely to continue hearings in this case on Tuesday. 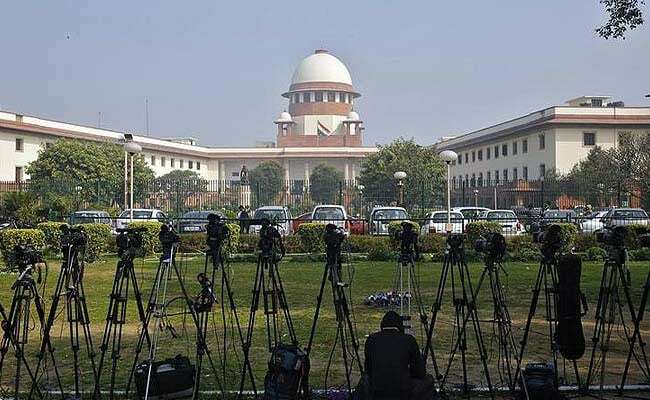 New Delhi: Days after completing the election process in five states where every fifth lawmaker has a serious criminal case, the Election Commission has told the Supreme Court that it wanted trials against elected representatives put on a fast track and those convicted barred from electoral politics for life, not just six years. The panel also backed a suggestion made in a public interest litigation that convicted persons should not be allowed to head a political party. In its affidavit in the top court, the Election Commission added that it had already sent its recommendations to the central government and most of the proposals made in the petition had been endorsed by the law commission in its two recent reports too. "However, most of the proposals/recommendations made by the answering respondent are either pending consideration by the Union of India or have not been approved for the time being," the poll body's affidavit said. On March 3, the top court had given the government and Election Commission the "last opportunity" to spell out their stand on the petition. The court is likely to continue hearings in this case on Tuesday. The hearings come against the backdrop of a report by the advocacy group, Association for Democratic Reforms that found 192 newly-elected lawmakers in the five states of Uttar Pradesh, Uttarakhand, Punjab, Manipur and Goa face criminal cases. Of these, 140 - 20 per cent of the total 690 legislators elected during the marathon seven-phase elections - had declared serious criminal cases punishable with five years jail or more. The proportion of legislators with serious declared criminal cases, 27 per cent, was the highest in Uttar Pradesh.